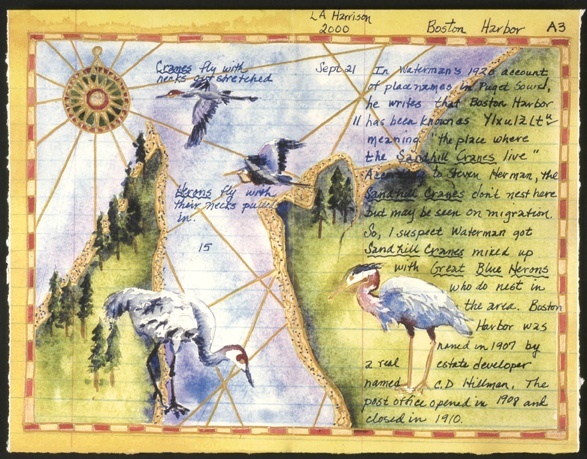 In Waterman's 1922 account of place names in South Puget Sound, he wrote that Boston Harbor was called Ylxulaltu meaning "place where the Sandhill Cranes live." But Sandhill Cranes don't nest here. Perhaps he mixed them up with the Great Blue Herons.